Evidence-based medicine (EBM) uses the language of probability theory in order to structure and analyse outcomes for individuals, being exposed to interventions. Preparations for studies and trials involve selection of populations (elibility; non-randomized), organization into subgroups, and sampling procedures (randomization) over these populations and subgroups. There is a distinction between randomization from non-randomization and non-randomizing from randomization, the former being adopted within RCTs and the latter within NRSs. These in turn involve terminologies and nomenclatures of various rigour, but are mostly adopted within a natural language which is totally detached from probability theory and statistics. It is even worse, as quality of evidence is seen higher the better a study has randomized the sampling procedure, not the better the eligibility criteria has been fixed. Formal logic, being the underlying language already at the stage of formulating eligibility criteria, is excluded in RCTs and NRSs. 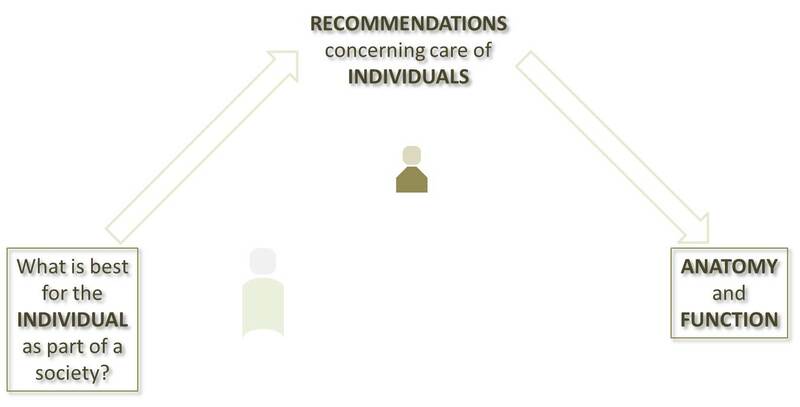 This means that the statistical machinery will never integrate that hierarchical and multichotomous terminology as part of its analytics, and therefore statistical observations are reattached with pseudo-logical expressions, e.g., when 'evidence' is formulated to become part of recommendations and guidelines in care of individual patients. This giant leap from statistics to logic is not well understood e.g. in the EBM manifesto, and, in fact, it is not well motored since the underlying logic machinery of statistics is missing. 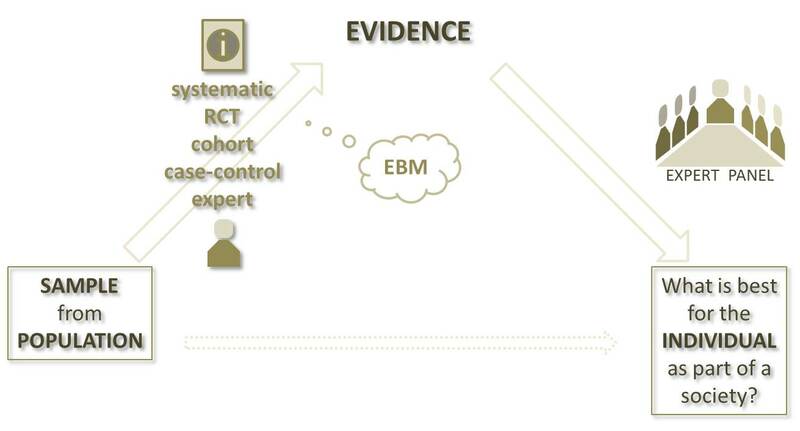 EBM does not allow expert opinion to motor evidence from observation, but it does allow a panel of experts to motor recommendations from evidence. The motivation for LBM is therefore two-fold. On the one hand, LBM explains how terminology and nomenclature in medicine can be logically formulated by means of underlying signatures, which in turn leads to the possibility to construct formal terms and sentences, and as they eventually appear within reasoning mechanisms. On the other hand, LBM opens up a logic foundation of probability theory, where notions in probability theory and statistics are enriched with concept used in formal logic. EBM is population-based only, whereas LBM enables individualization. Enrichment of EBM and trials with LBM bridges the gap between population-based evidence and personalized guidelines. Evidence derived from LBM becomes logically formulated within guidelines and recommendations. ©2007-2019 Four Computing Oy Ab Ltd. All rights reserved.